For those familiar with baking, you all know short-based pastry…for those not, that’s the pastry used in most sweet and savoury tarts. And for me besides boring, if made badly, can be a thick floury base that kills any dish, to what could be an amazing tart. I have been using a replacement, that is a “pine-nut crust” base (taken from Thomas Keller, one of the top chefs in the world), which is suitable for both sweet & savoury, the only drawback is the expense of buying pine-nuts. 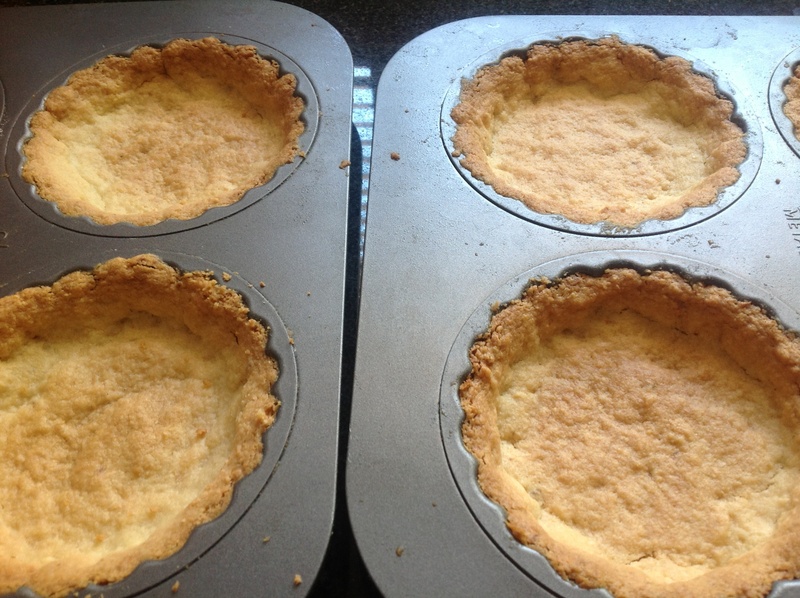 The good news is that the recipe makes either 3 big tart bases or 24 mini-tarts. Also its can be easily frozen at least over a month, and it doesn’t require pastry skills to make or to use. In fact its simpler than short-base pastry! I would dare to say idiot-baking proof. Put the pine-nuts in a food processor (or the like) and pulse a few times (gets broken up/crumbly). Add the sugar and flour and continue to pulse until nuts are finely ground (if you prefer it chunkier, then fine!). Transfer to a large bowl. Now either you can do this by hand or put in in your kitchen mixer that has a dough paddle. Basically add the butter (cut into small blocks), the egg, and vanilla extract to the above mixture and mix well until it binds. Divide the dough into 3 equal parts, wrap individually in plastic wrap and either freeze for when you require it, or refrigerate for at least 15minutes before using. If using, preheat oven to 180 degree celsius. Grease (& lightly flour via sieve) a tart pan (or mini-tart pans) with a removable bottom and refrigerate for a couple of minutes. Use your fingertips to press the chilled pine-nut dough over the bottom and up the sides of the pan (as even as possible). Trim off any excess. Note: don’t worry if there are cracks in the crust, they will not affect the finished tart! Tip: Now if you are like me, I prefer to actually pre-prepare all my tarts in the actually tart containers with the dough, wrap in plastic and freeze. 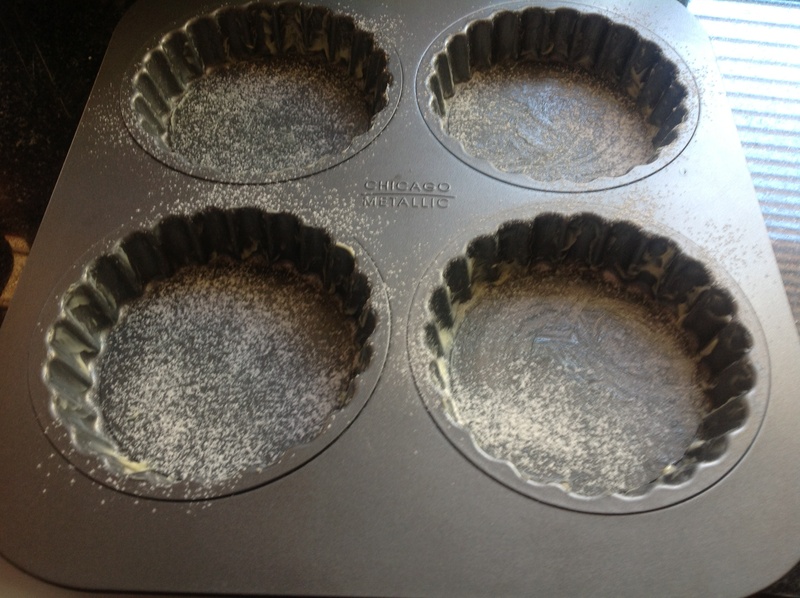 When I require a tart, I then defrost and then simply bake it blind, and then do the filling. This entry was posted in Baking as easy as 1..2..3 and tagged pine nuts, pinenuts, short base pastry by angelb38. Bookmark the permalink.